The second volume will be featuring new contributions from the legendary UK songwriter and sonic experimentator Richard Youngs, Italian young electronic musicians Sammartano (a solo project of Gaspare Sammartano from Cannibal Movie, which sounds like a toxic and sunburnt mixdown of TG & Wu-Tang Clan leftovers) and Leper (the latter comes with his very first track ever to be released), the Brooklyn-based duo Tarana remixed by the hands of BKGD Audio (Alap Momin from dälek and Oktopus), the placid ambient meditation of Sin-Wat (Steve Flato & Kaitlin Kilgallon), the debut of mysterious Berlin one-man project Langerade with his unique techno-und-motorik visions. 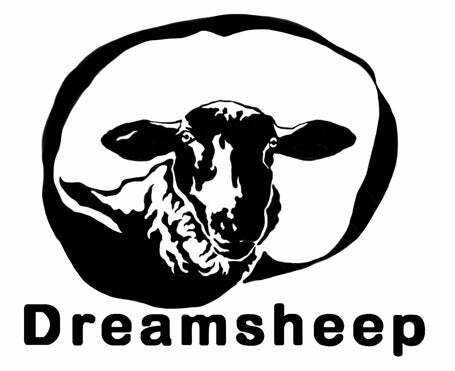 In addition to this, the Dreamsheep boss Valerio Cosi will be also contributing with a final track and for the first time on the compilation series with a track called "Charing Cross St.". 2. Tarana & BKGD Audio "Eclipse In The Flower's Eye (Remix)"
3. Leper "There's No Safer Place Than The One Which Never Existed"
6. Sin-Wat "Nothing Variations (Dreamsheep Edit)"
7. Valerio Cosi "Charing Cross St."
PREORDER OF CASSETTE ITEMS IS NOW OPEN. Shipping will occur in late August. Tape is coming in a limited edition of 100 copies.